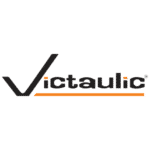 Victaulic’s Virtual Design & Construction (VDC) team gave 2019 AHR Expo attendees the chance to see how the company uses 3D laser scanning and virtual reality (VR) to help their customers more efficiently plan and execute large construction projects. This technology allows engineers and contractors to see a virtual layout of complex spaces, such as a mechanical room, while still in the planning phase. Not only does this help design piping in a new space, it provides more accurate measurements when retrofitting an existing space. Whether the user views the job site on a desktop computer screen or fully immerses himself in the setting via VR glasses, this technology will save him time and money on his next project. Check out the video below to see Victaulic’s VDC team demonstrate the benefits of 3D laser scanning for construction projects.